Dunoon is situated at a focal point in the Firth of Clyde, lying at the southern tip of the Cowal peninsula. The town of Dunoon is the largest in Argyll. Ferries have been crossing to Cloch Point and Rothesay since the 14th Century. Dunoon's growth can be traced back to 1822, a decade after Henry Bell's little steamship Comet first ventured upon the waters of the Firth. The first pier at Dunoon was built in 1835, and was replaced by a more substantial structure in 1867 by Mr Hunter (see Hunter's Quay). 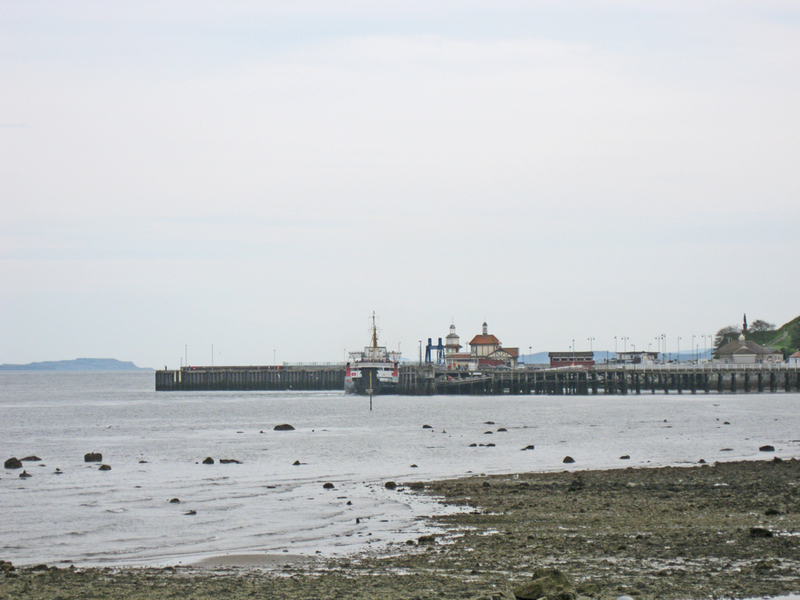 The pier was purchased by Dunoon Burgh Council in 1895 for £27,000 and two years later a new two-berth pier was opened, complete with tudor-style waiting rooms and a signalling tower. In 1934 Dunoon became the first pier to instal a loudspeaker and music system. In 1937 the pier buildings were reconstructed following a severe fire and a promenade balcony was added. Car ferries started using the pier in 1954 and in 1972 a side loading ramp was added. The present pier celebrated its centenary in 1997, and, with its buildings, represents one of the last examples of a Victorian pier still in use on the river. In April 2004 Transport Minister Nicol Stephen launched the start of work to construct a new linkspan (ramp) at Dunoon Pier. This was completed a year later. The Scottish Executive contributed £4.5 million to the overall project, which cost £6.3M in total. However, the linkspan is not used by the current Calmac ferries, which require a side-loading facility.